Mitsubishi cars and trucks are quality vehicles. And quality vehicles require quality care. 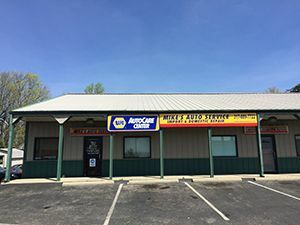 Here at Mike’s Auto Service, we provide professional Mitsubishi service and repair at a fraction of the dealerships’ costs in Greenwood, Indiana. We are a NAPA authorized auto care center, so you can rest assure that we have the latest technologies and resources to provide comprehensive Mitsubishi repair within a convenient time frame. We also use all NAPA and OEM auto parts, so you know you are getting quality products with your service. Our Mitsubishi services range from general car maintenance and minor repairs, to major repairs, engine rebuilds, and more. Whether you need a Mitsubishi Eclipse serviced, or a Mitsubishi Lancer repaired, we have the affordable and convenient solutions for you! Mike’s Auto Service is a family owned and operated business, so we understand the value of a dollar. This is why we remain committed to providing top-quality service at economy-based prices. From the moment you call our office to the moment you walk out our doors, our intention is to provide the best customer service possible. We treat all clients with the highest regards, whether they choose our services or not. Our ultimate goal is to help you get back on the road safely, and at a fair price. Call our office today at 317-889-7722 to learn more about our auto shop, or to schedule an appointment for service.